Utah is sixth in line for the “Most Weddings Per Year” title. The average age for a Utah bride and groom are 23 and 25 (respectively). Utah engagements last three to six months compared to the one to two years National average. As you can probably tell, the wedding environment can be pretty competitive here—both within the industry and in the local marriage culture. 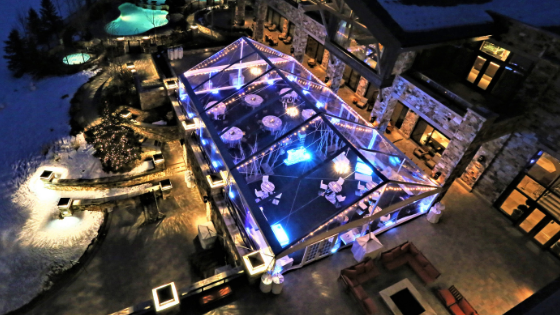 So what does it take to plan the best wedding reception of the year? An event that everyone will remember for years to come? Well, you’ve come to the right place! In order to plan out your reception you have to understand the different types before you can go forward with the process. It’s definitely an event where guests should plan on staying from beginning to end. A few common elements of a reception that aren’t typically found at an open house (the following option) are a band, a DJ, and an open bar. For many living in Utah this type of reception might be more common. Basically, it’s a semi-formal meetup with the newly wed couple and their family. Invitations may be sent out for it but reservations aren’t necessary. Those who are invited can come and go as they please to visit and congratulate the couple. Traditionally, open houses in Utah do not include a formal dinner and may instead include light appetizers or finger foods. For those choosing this option, many like to do a luncheon where the bride and groom’s families and closest friends may come together to eat sometime between the wedding ceremony and open house. An open house is similar to a formal reception in that dressing up is encouraged. Some events that are typically reserved for a formal reception are sometimes done at an open house too—like cutting the cake, a father-daughter and first dance, and throwing the bridal bouquet. Do you know which type of reception you’re going to be having? If so, you’ll be better prepared to choose how these 9 elements could best be incorporated into your reception. 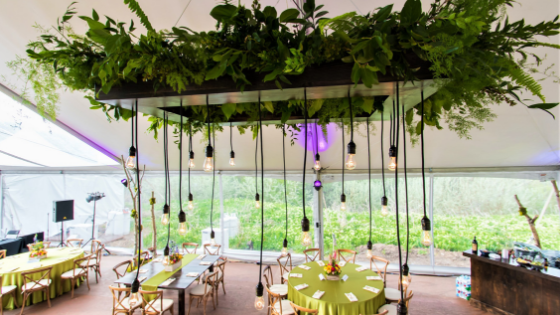 A tent like the one featured here is the perfect compromise between an outdoor and an indoor reception. You can get the feel of being outdoors while still being protected from exterior elements. 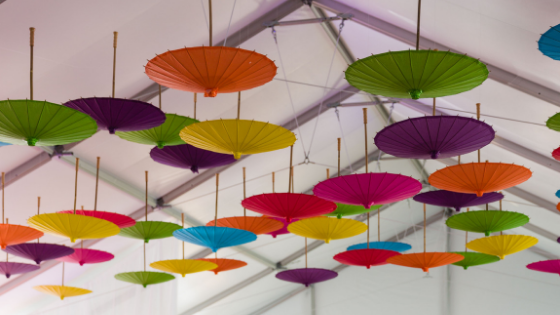 Use decorative items that stand out! Stray away from items that everyone else seems to be using. 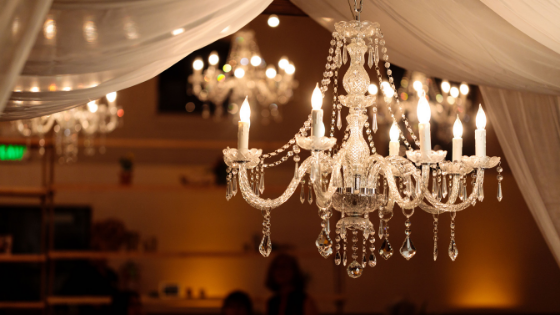 Chandeliers and dim lighting are perfect if you’re going for a romantic or ultra formal vibe. 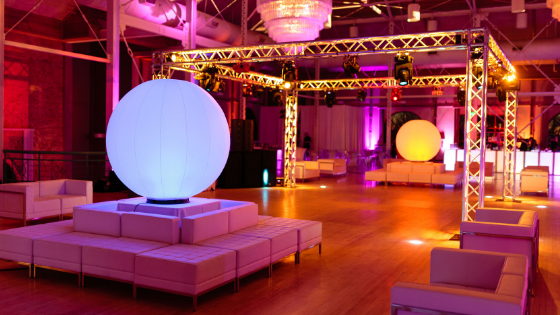 There are so many different ways to play with lighting when it comes to a reception. It just all depends on the mood you’re trying to create. 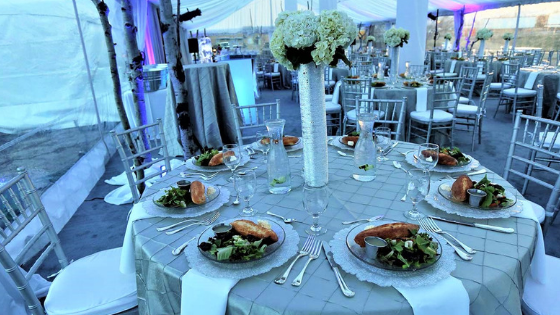 Are you going for the whole shebang by providing your guests with a formal dinner? Transparent chairs are one great way to add a special charm to your dining atmosphere. 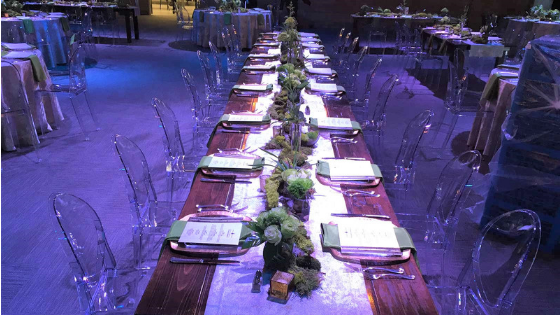 Even if you’re going less formal with an open house, it would still be worth considering to create a special effect with aesthetically appealing tables and chairs. If there’s one thing people talk more about after the reception other than the bride and groom, it’s the food. Whether you’re serving up a three-course meal for your guests or letting them have free reign of the à la carte refreshments table, make sure to go all out with the flavor! Need ideas for food? 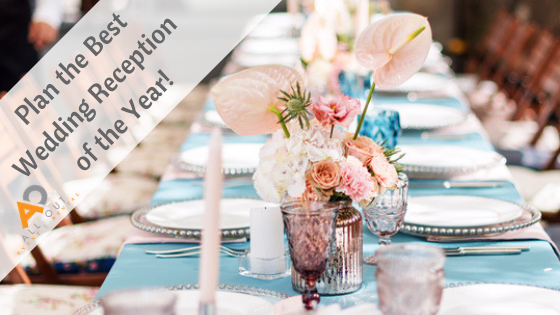 Check out The Knot’s ideas for reception entrees and HGTV’s suggestions for open house refreshments. Nature (flowers, petals, greenery, etc) can be used in so many different ways when it comes to wedding receptions. Of course, there are the traditional tabletop centerpieces. However, there are ways to go about it in a unique way—like this hanging plant with lights strewn from it. 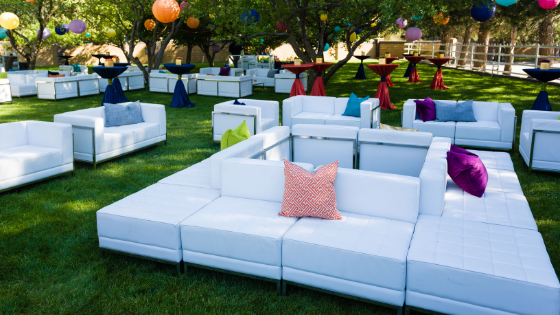 Casual seating—like these beautiful sofas—are perfect for any type of reception. They allow guests to step away from the dining atmosphere and talk to other guests in a comfortable manner. 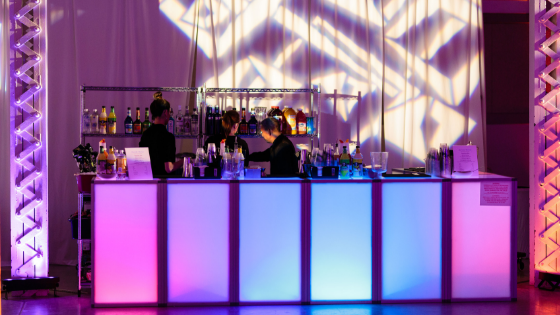 Typically, an open bar consists of cocktails and other mixed drinks. Some may even offer up specialty beer and wine too. You could also provide some tasty non-alcoholic “mocktails” like Agua Verdes, Shirley Temples, and apple-ginger sparklers. Dancing is a very special part of many receptions. Originally, the father-daughter dance took place before the first dance and was symbolic of the father passing on his daughter to her new life partner. The first dance would then symbolize the bride and groom dancing away their life together. How romantic! It would be our privilege to be a part of your special day! Let us help make your wedding planning experience as stress-free as possible We will even coordinate with your wedding planner! Call us today at 800-638-9849 to ask us about our wedding packages.